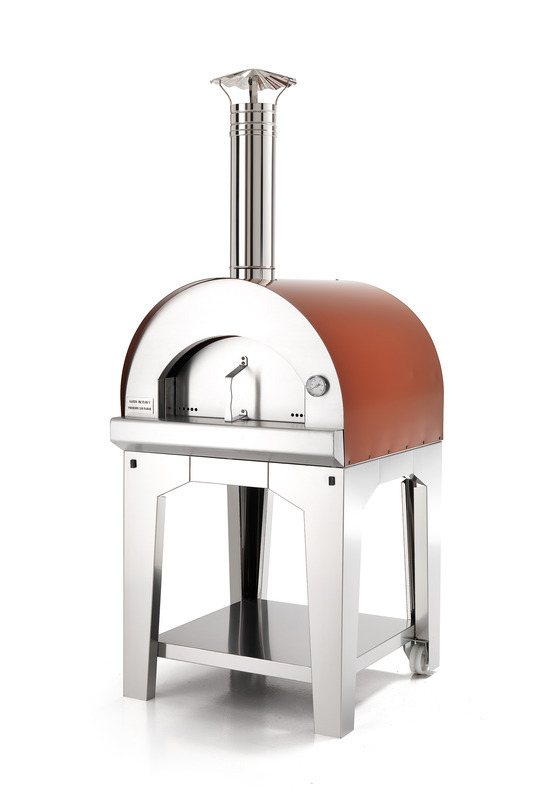 Fontana Forni pizza oven – Divino 80 is the Largest wood fired pizza oven in the Fontana indirect combustion oven range. 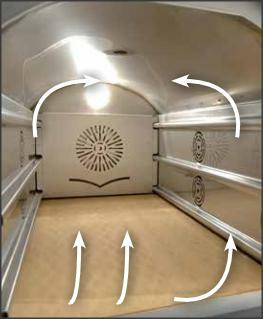 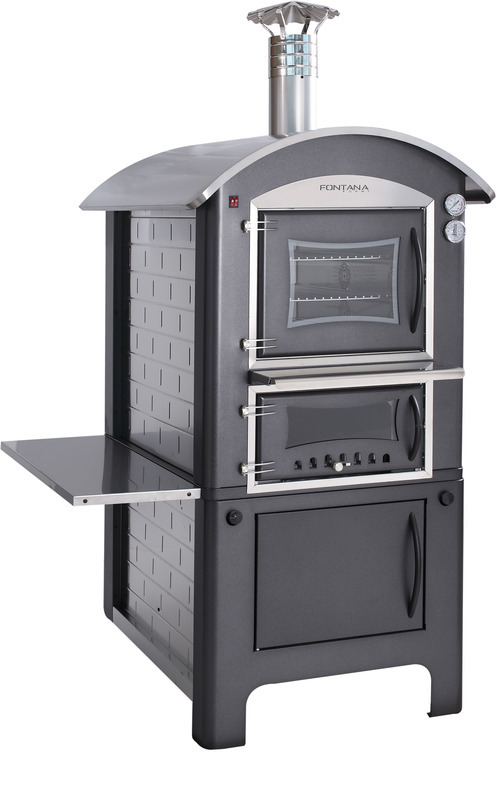 This style of oven involves lighting the fire in a separate chamber located below the cooking chamber while the heat rises around the upper cooking chamber. 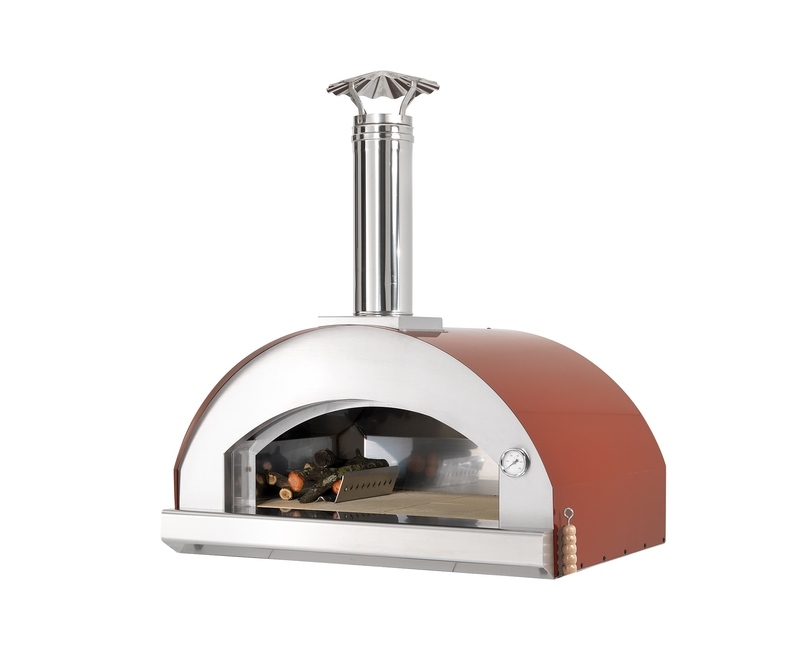 Category: WOOD FIRED PIZZA OVENS. 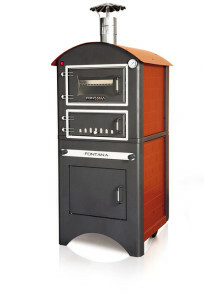 Fontana is a leading brand in Italy reknowned for producing high quality portable wood-fired ovens. 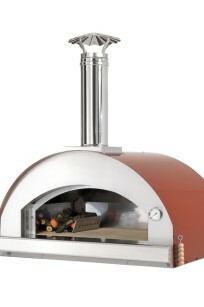 The Fontana Forni Pizza oven – Divino 80 is the Largest wood fired oven in the Fontana indirect combustion oven range. 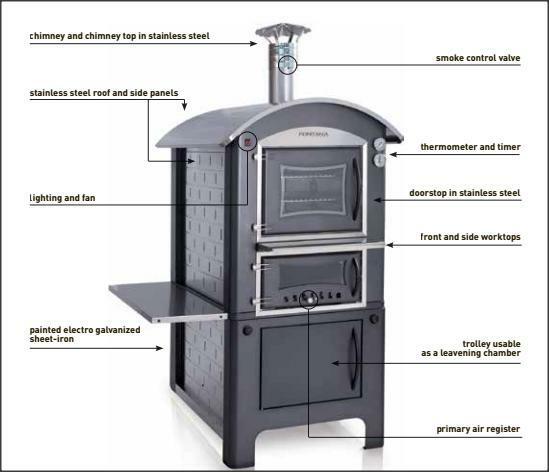 This style of oven involves lighting the fire in a separate chamber located below the cooking chamber while the heat rises around the upper cooking chamber. 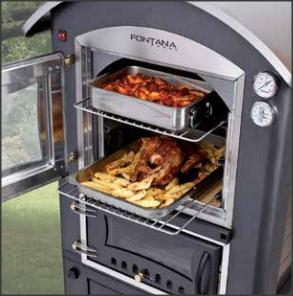 The benefit of this style of cooking is a clean, smoke and ash free cooking area. 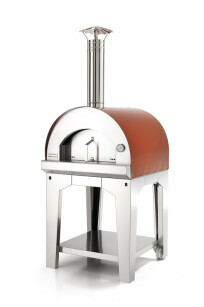 This stainless steel Gas pizza oven model PO110 is designed for customers who want a fuss free pizza oven option. 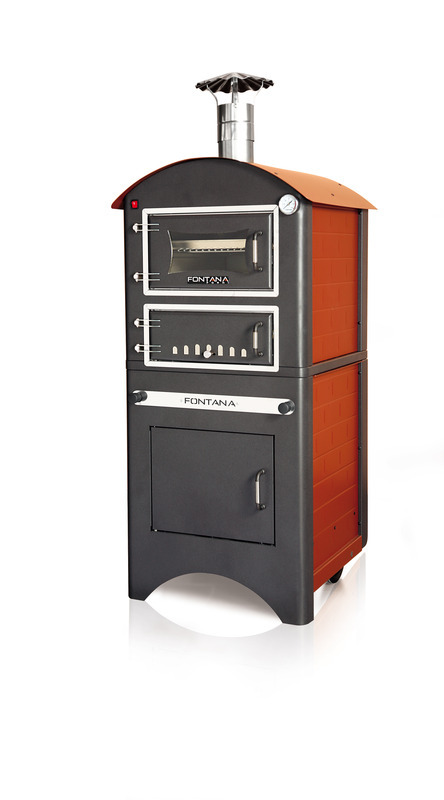 The Fontana Small EST is the Smallest oven in the Fontana indirect combustion wood oven range. This style of oven involves lighting the fire in a separate chamber located below the cooking chamber while the heat rises around the upper cooking chamber. 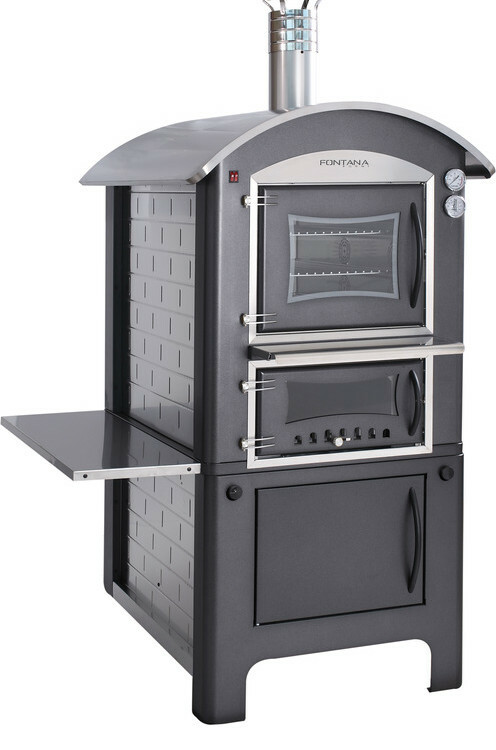 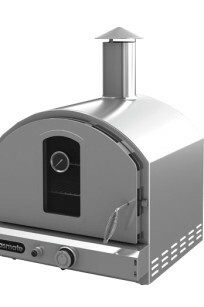 The Fontana Margherita is the Smallest outdoor pizza oven in the Fontana direct combustion oven range and is suitable for cooking 3 large pizzas or 2 trays of lasagne/roast. 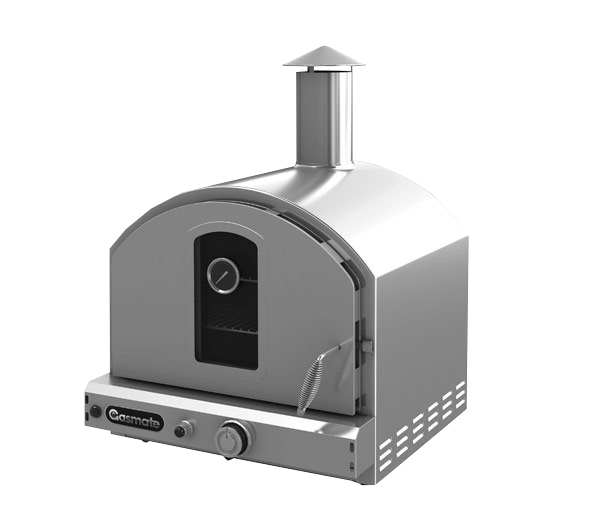 The Fontana Mangiafuoco is the largest wood fired pizza oven in the Fontana direct combustion oven range and is suitable for cooking 2 large pizzas or a large tray of lasagne/roast.